Chelsea v Sunderland: Three points, top of the league and pressure back on Liverpool. This evening, Jose Mourinho and his Chelsea team have a chance to put huge pressure on Liverpool by beating Sunderland and moving top of the Premier League by a single point before Liverpool face Norwich tomorrow. Sunderland is as big as any other game we have played this season. Take our title challenge that looked like being over with defeats to Aston Villa and Crystal Palace, take Jose Mourinho's unbeaten home record in the Premier League and take current form into consideration and you would have this down on paper as a Chelsea win. However, it's never that simple. Gus Poyet's side are fighting for their Premier League lives with games and time running out and are a very, very dangerous opponent. Chelsea will be favourites but as we all know, anything can happen. Chelsea must travel to Anfield having picked up the win and three points this evening, anything less could be a disaster. Chelsea have had the door to the title thrown wide open and they must take full advantage. We cannot think about Anfield or Atletico Madrid for that matter. We have to focus on getting the job done today and right now, I do not care how we do it. It could be the worst game of football you have ever seen in your life but as long as we pick up the win, that's all I want. Chelsea need to focus, prepare right and just get the job done. A great performance in doing so would be a huge bonus but I'd take anything as long as we win. We need some big performances from the players because now, this is what we have worked so hard for, to be in this position and to have the destiny of our season in our own hands. For my take on who should start this game, click here! 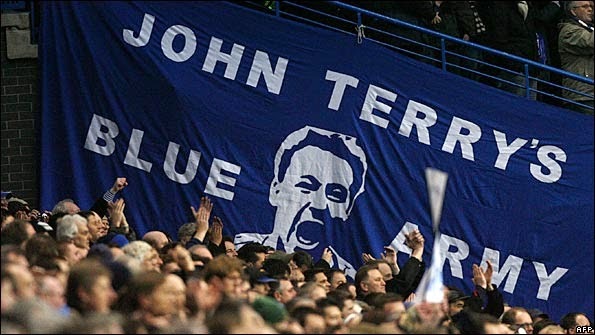 So come on Chelsea, get out there and give us three points and let's see how Liverpool cope tomorrow!